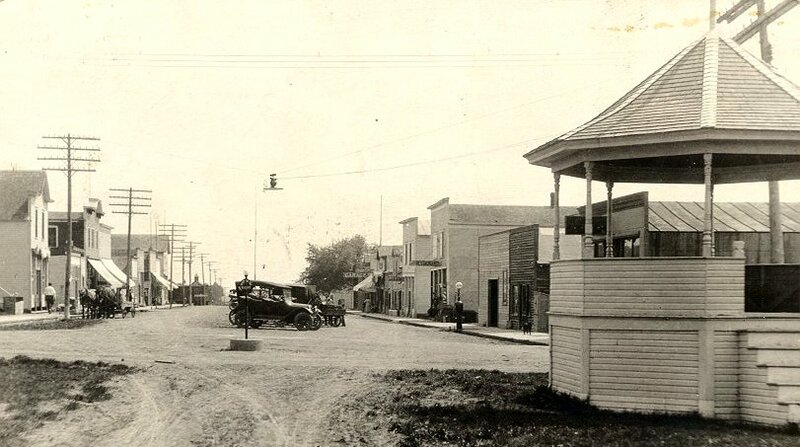 Historic photos reveal the history of Douglas County’s small towns. They feature false front stores in wood and brick, wooden walkways, and dirt streets, and could inspire a setting for an old movie about the Wild West. Day to day life is documented and easily reviewed at the Douglas County Historical Society in the downstairs research library. We have town and township history files for all of Douglas County. These files include: History, Accidents, Crime, and Fires. In addition, many towns and townships have: Businesses, Clubs, Celebrations, and other historical information. Some even have books written about them. A towering grain elevator next to the railroad tracks, either Soo Line or Great Northern, shows how farmers depended on the town for their economic prosperity, and vice-versa. Creamery Associations started by local farmers brought them to town on Creamery Day, when they could meet and discuss their shared business interests. The Post Office was their connection to family and friends far away. 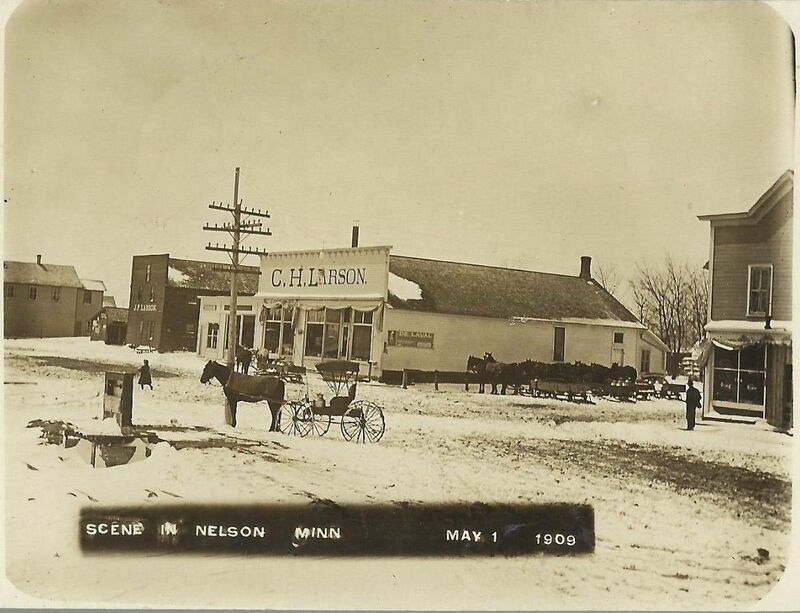 The county seat of Alexandria, at the intersection of the two rail lines, often received more attention, but the small towns were very important in the day to day life of rural Douglas County residents and farm families. Just recently we had a visitor from Norway who was searching for information on his great-great uncle Torgjels Knutson, who owned Knutson’s Store and Implement in Garfield. 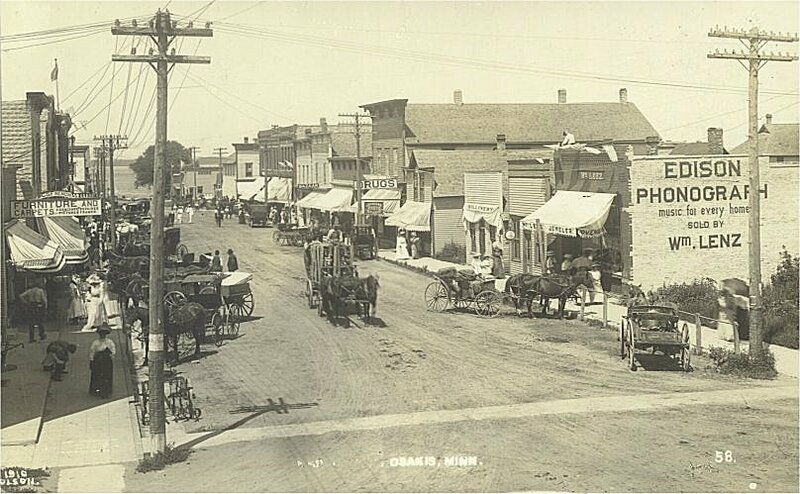 We had old photos of the village, the store interior, the exterior, a history of the store and owner, and a family file. All of these resources have been gathered, organized and saved at the Douglas County Historical Society by staff and volunteers over many decades. 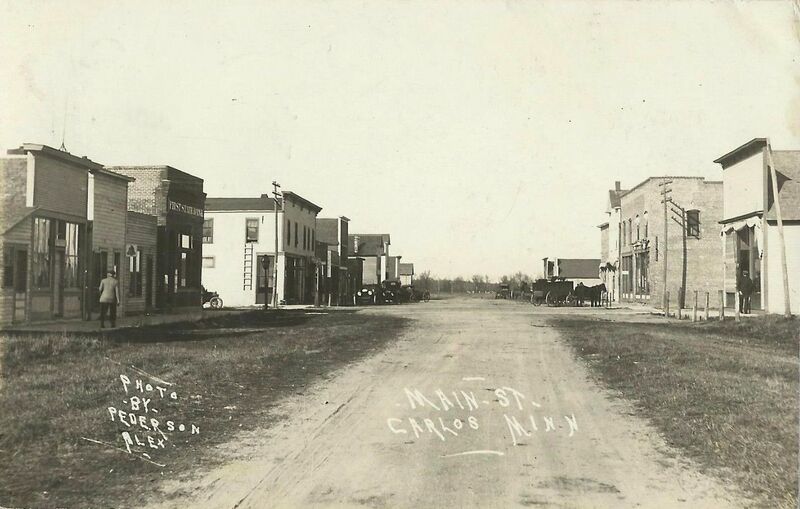 If you are interested in the history of your small town heritage, or have specific questions about some of the places and people in those towns, check out our research information page to set your research in motion HERE.